In this part I am going to focus on the uploading, file storage and management, and developing of the RAW file. I have mentioned a number of times in the previous installments that Adobe maintains a RAW file format that is the closest thing to a RAW standard as there is in the photo industry. I convert all my files to DNG upon downloading them to my computer. The advantages are few but in my opinion very important. First, the hope that DNG will eventually be adopted by all manufacturers as their native RAW image; if is far more likely DNG will be adopted than any other format. Second, all most all other formats require a separate side car file to store development instructions once you have developed your picture, one side car file per picture file. That side car must always be in the same folder as the RAW file or your development work is lost. It is easy to accidentally separate the RAW file from its side car. DNG stores the development instructions within the DNG file itself so that they are always together. Third, if you are willing to spend the storages space, DNG can also store the native file in the DNG file so that you can always go back to it. The DNG file of course grows by approximately a factor of two if you do this. Fourth, DNG is compatible with more applications than any other format, and Adobe is quicker than all application providers to provide updates as new cameras come on the market. And of course, like all RAW formats, DNG is a lossless compressed file and generally smaller that the native files (provided, of course, you don’t store the native file in the DNG file). Above left is the import box Adobe Photoshop Lightroom 2.0 provides. Click to enlarge the image and look at the features I have highlighted. Look at the File Handling drop down box at top. “Copy photos as Digital Negative (DNG) and add to catalog” is selected. This is Lightroom’s instruction to convert the native RAW file to a DNG RAW file and add it to the Lightroom library. 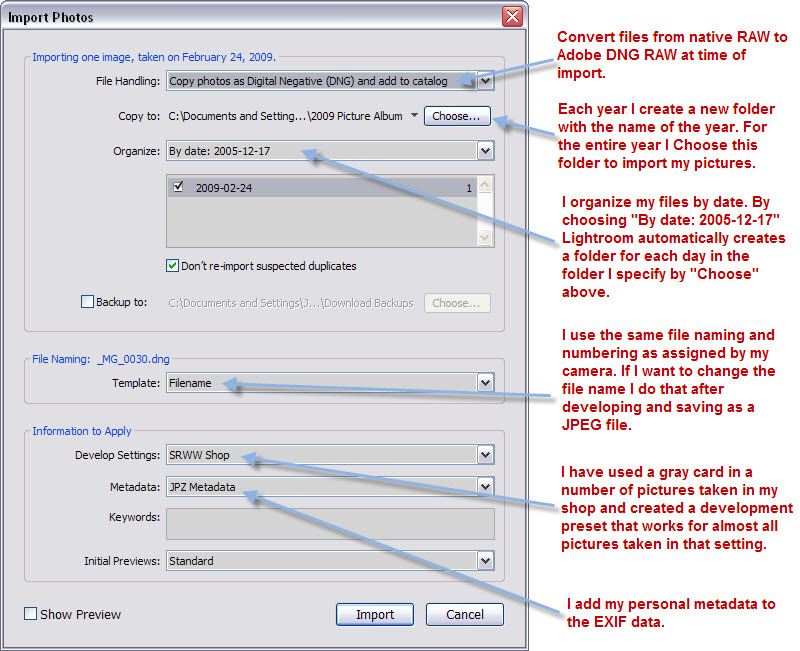 The folder selected under “Choose” will be the folder Adobe uses to create an additional folder, one for each calendar day, for which there are pictures to import. For example, suppose I took three pictures on 1/1/2009, nine pictures on 1/9/2009 and five pictures on 1/15/2009. 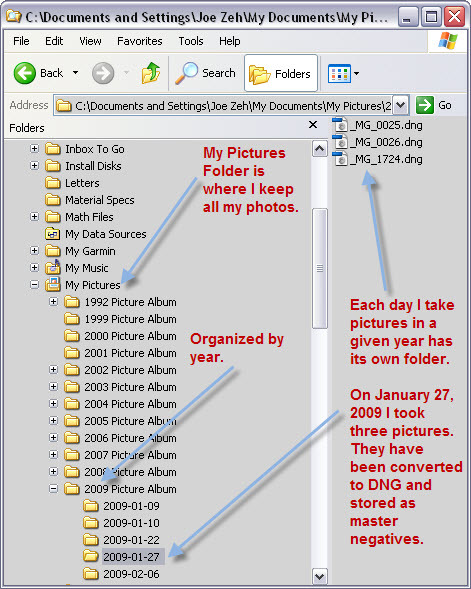 Three folders would be created by Adobe; 2009-01-01 containing three pictures, 2009-01-09 containing nine pictures and 2009-01-15 containing five pictures. All three folders will be placed in the folder selected by “Choose”. I create a folder once a year under My Pictures with the name of the year, in this case “2009 Picture Album”. For the entire year I import to this folder and then Adobe creates a folder for each day a picture exists in the library. I have two cameras. Sometimes I take pictures on the same day with both cameras. When I import the first camera’s photos a folder is created for the pictures taken on that day. When I import the second camera’s photos Lightroom recognizes that a folder already exists and uses it for those photos. See Windows Folder box above right. Again looking at Adobe’s import box “File Naming” section you will see that I chose “Filename” from the drop down menu. This instructs Lightroom to use the same file name as assigned by my camera (the extension will of course change to .dng). I like to keep the same file name for traceability and because I have more than one camera and can tell immediately which one a photo was taken with. If I want to change the name of a photo, or batch a name change to many photos, I do that after development while saving them as a JPEG file. In the “Information to Apply” section I have a custom “SRWW Shop” preset for developing. In theory you should use a gray card for every session of photography to get the white balance correct. However, if you know that you environment is always the same you can characterize it over a number of sessions and then create a preset which can be applied at import time. This preset does not alter the digital negative (DNG file). It simply instructs Lightroom to apply a set of development instructions before creating the preview. You can further alter the instructions or add to them later. 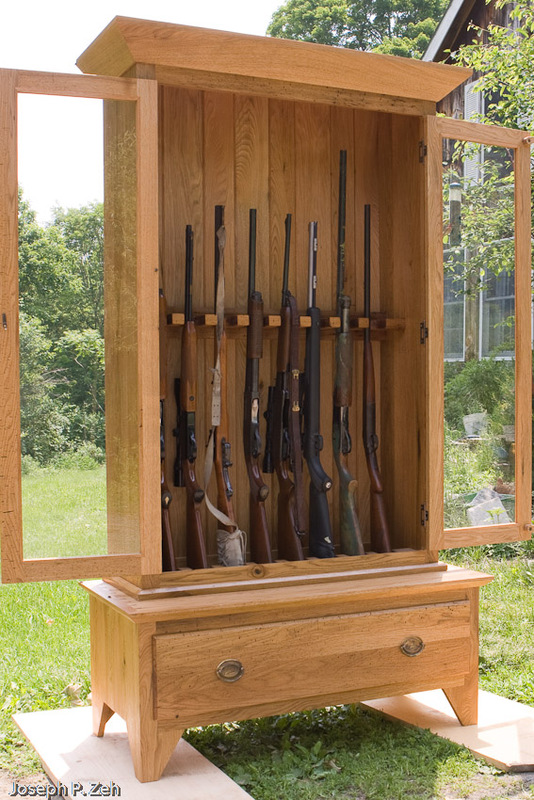 This saves a lot of work in cases where the environment is always the same, like a wood shop. Of course, if you have days where the environment is substantially different, such as the sun being particularly strong and shining directly through the window at a piece you are trying to capture, by all means go back to using a gray card. Lastly, in the “Metadata” section I have chosen another custom preset. This one saves my personal information and copyright data and applies it to every picture that is imported. Lightroom provides for easy capturing of these presets and you can create multiple presets if you wish. They are very handy and save you a lot of work. Now let’s take a look at the development process. I am not going to attempt teaching you how to use Lightroom in this tutorial. It would have to be a separate series of tutorials well beyond this one. But I will introduce you to its major pieces and you can decide whether you wish to learn more from this point. Since we just imported some photos we will begin with the Library View above left. Enlarge the image and take a look. The white lettering over the photo area tells us almost everything about the capture including the camera model, exposure settings and lens used. The histogram gives you a quick view of exposure. This is a histogram of the photo as it exists AFTER the preset and any development changes are applied, not as it is imported. Notice the JPZ Metadata has been applied which you can tell because my name has been applied in the Copyright box. On the lower left you can see the library organization which looks almost identical to the Windows Folder box of earlier. You can also see that next to the folder for each day is a number indicating the number of photos taken on that day. Notice that the calendar year 2008 Picture Album has a summary of 1403 photos. That is the total number of photos that exist in the library for calendar year 2008. I should mention that not all of my photos are in this library. I only import RAW files into Lightroom. If I shoot JPEG, which I often do (I call them snapshots), I place them in another Adobe application library (Photoshop Elements), along with any JPEGs I produce from RAW DNG files. This is a personal choice. I view Photoshop as a serious development tool which I use for developing RAW files that I intend to keep as negatives. Snapshots can be processed in either Lightroom or Photoshop Elements, and Photoshop Elements, I believe, is a better photo organizer. If I now choose the Development View I can see the tools available for altering the exposure, color, contrast, sharpness etc. The picture above right is the same as the one in the Library View but I have chosen “As Shot” for WB. Enlarge the picture and study it. Even though I imported it with the SRWW Shop preset, I can always go back to the As Shot view. Now I can examine the histogram of the RAW file. Note the White Balance (WB) Eyedropper tool. I will explain that later. Note also that I can always go back to the imported view with SRWW Shop applied by clicking on the first entry in the “History” drop down. At right you will notice the tools provided for developing. There is a slider at right so access many more. I am not going through each of these in this tutorial. Suffice it to say they are very powerful and for the most part intuitive. The development engine in Lightroom 2.0 is the same engine in the most recent versions of the very popular Adobe Camera RAW (ACR) that most professionals use. 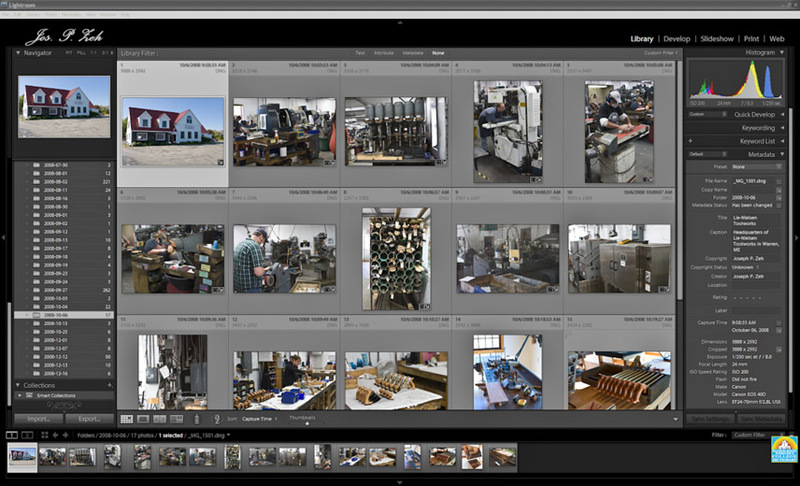 I suspect more professionals now use Lightroom than ACR because of its additional features. Before going on compare the image in the Development View with As Shot selected to that of the Library View with SRWW Shop applied. Look at the white of the bench for instance and you can see the preset does a very good job. Now let’s look at a typical photo. I do a lot of photography outside the shop but since this is a tutorial for woodworkers we will look at one I took for inclusion on my website and in my portfolio. I started with a test shot at left. Since this shot was taken in my house and I have no developing preset for this situation I used a Gray Card. Oh wait! It’s a “White Card”. Actually it is a white sheet of laser printer paper. I have a number of Gray Cards, but sometimes I am lazy and don’t fish them out. A “White Card” works fine. This RAW file has not been color corrected. You can see the “White Card” is not white. The lighting in my dining room is a weird combination of incandescent and daylight, complicated by the fact that my post-and-beam Douglas fir construction plus the pinkish glass lamps surrounding my lights creates this rather unusual lighting. Also, there was a rather strong bluish glare on the front from daylight which I eliminated by asking someone to strategically stand by the corner of the piece. My message here is that you don’t need expensive lighting and other gadgets to take good pictures. In this case a piece of paper and a helpful person was good enough. Look now at the same photo, at right, after using the WB Eyedropper and clicking on the “White Card” in the Development View. Voilà! It looks pretty good. There is a remaining bluish shadow on the end (I didn’t have enough helpers), but the colors are quite accurate and the exposure is reasonable, though I may make some small changes in exposure and sharpness before proceeding to Adobe Photoshop. If you remember from a previous tutorial, there is a blurring filter physically on top of the sensor in almost all digital cameras. This helps to create more accurate colors from the Bayer pattern. But it also means that almost every RAW image needs a little sharpening to “reverse” the effects of this filter. JPEG images get this adjustment in camera. 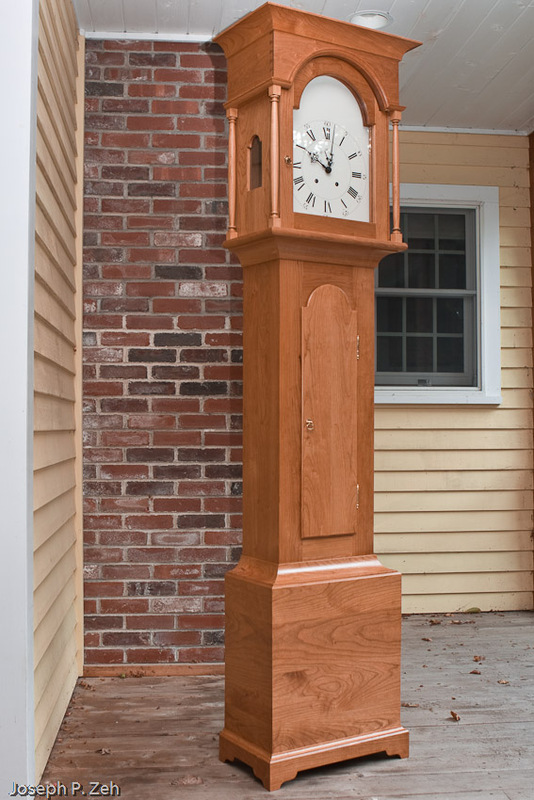 This concludes Part 6 of Woodworkers And Digital Photography. But before leaving I want to give you a glimpse of what we will cover in the next and final installment which will focus on Adobe Photoshop. The picture at left is the same as the previous two after operating on it with Adobe Photoshop. Notice I removed most of the bluish shadow. I include a back light and chose a background color that is consistent with the piece. This photo is now ready for my portfolio and web site. Stay tuned for Part 7. In this installment of Woodworkers And Digital Photography we will focus on taking the picture, that is capturing the RAW file. Much of what we have discussed will come into play here. The emphasis is on getting the correct exposure and composition. In Part 6 we will learn to use Adobe Photoshop Lightroom to develop the RAW file and in Part 7 we will finish up by using Adobe Photoshop CS3 to create the portfolio print. If your shop is anything like mine, it is not conducive to photography. Certainly a photographer would not model a studio after my shop. My walls are construction plywood. I have numerous windows on three sides and often (weather permitting) I have a garage door open to the shop. The ceilings are white. The lighting is fluorescent mixed with daylight streaming in the sides. Reflected light from the ceiling is mostly fluorescent. From the walls it is a combination of fluorescent and daylight, but because of the makeup of the walls it is mostly yellow to brown. I don’t use either flash or studio lights. The former would cast harsh shadows and the latter take to long to setup and take down. The light level produced by the lighting described in the previous paragraph is low. To obtain correct exposure I must use a rather long exposure time, a large aperture (low f-stop) or a high ISO setting. We didn’t discuss ISO in detail, but suffice it to say that at higher ISO setting more noise enters the RAW file and becomes visible as randomly colored pixels. These noise pixels show up mostly in the darker areas of the picture since that is where the light level is lowest which produces the lowest signal/noise ratio. Hence, we will always use ISO 100 or 200, maybe on a rare occasion 400, but no higher. Note the noise in the face and chest area of the picture at right which was shot at ISO 1600. That leaves us with a large aperture or a long shutter speed. We know that smaller apertures produce larger DOF which is what we want. So we might decide to use the smallest aperture possible. But there is another problem. Below about f/11 the aperture is so small that it tends to produce diffraction related anomalies. We will use between f/8 and f/11 which will yield the desired DOF and will not destroy the quality of the image. We start by selecting the aperture priority mode (Av on the mode dial) set it to the desired f/stop. Next we set the desired ISO. Now we are ready to mount the camera on a tripod. Though we haven’t discussed a tripod since I listed the necessary equipment in Part 1, it should be obvious by now that we will end up using a long shutter time making the tripod necessary to avoid camera shake that might be produced by hand holding. 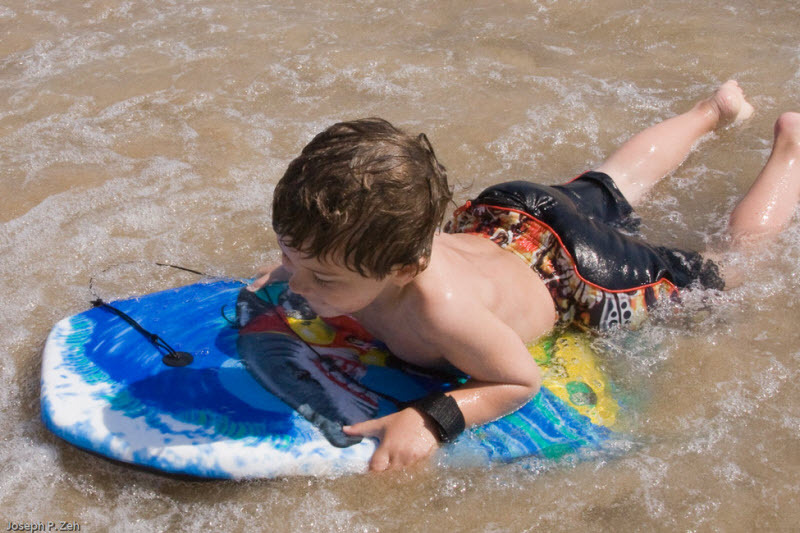 If you have a good zoom lens and the situation allows, use the lowest focal length. This will produce the largest DOF. Sometimes I have a problem with fixed work stations getting in the way and I end up having to use the telephoto (higher focal length) range to get my subject in the picture. This occurs mostly with large pieces. Now is the time to adjust the tripod for height, focus the picture and set the camera to timed exposure. We can use either manual or auto focusing, both should work just fine. It may be useful to limit the auto focusing and exposure points to just one, whether the center point or one that is most appropriate for the composition. Next we depress the shutter button half way to get an exposure reading, set our feet, take a deep breath and completely depress the shutter button. We do not move until after the picture is recorded and the file is transferred to the storage device. Usually a red light is available on the camera to let us know when this has occurred. At this point we have a test shot which we can view on the camera’s LCD. We don’t remove the camera from the tripod or alter the camera or tripod’s position to do this. We simply choose the preview button. At this point the picture is not the most important thing to preview, rather we want to look at the histogram. 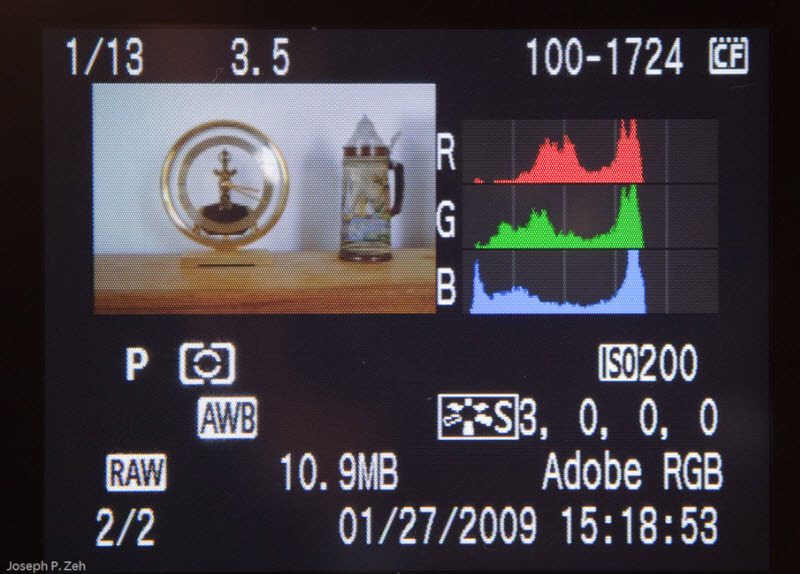 The Canon 40D has two styles of histogram preview; one displays a small image with three separate red, green and blue histograms (above left) while the other includes a gray scale brightness histogram (right). Histograms are simple. Don’t let them intimidate you. The x axis represents the intensity level from darkest on the left to brightest on the right, or quantitatively 0 on the left and 255 on the right. This provides 256 buckets. To create the histogram each pixel in the picture is placed in the bucket that correctly represents its tone or brightness level. In a bright or high key picture there will be many pixels in buckets that crowd the right of the histogram. In a dark or low key picture there will be many pixels in buckets that crowd the left of the histogram. In an evenly lit scene with highlights and shadows there is likely to be a single hump curve with most pixels in buckets near the middle of the histogram. Still some histograms will have two or more humps. 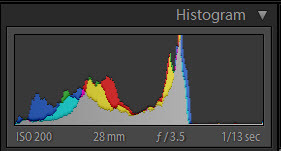 The amplitude of the histogram tells you how many pixels fall in each bucket, the y axis. There is no one correct histogram shape. But there are some things that one should look for in a histogram – most importantly is exposure and how much data was captured. In the above histograms ignore the picture itself, it is just one I took as an example. Also, when taking this snapshot I used the automatic program mode (P on the Canon) so the camera chose the shutter speed and the f-stop and focusing was automatic. Ignore all of this. What I want you to do is click on each image to enlarge it and notice that the picture is underexposed. You can tell this because the histogram is too far to the left. Notice the histogram has five zones and only three and a half of the lowest zones are used. This shows up in both the RGB and brightness histograms. Not only is this picture underexposed but we are not capturing as much image information as the camera is capable of. In fact we are probably capturing less than half the information available. If this were a picture with lots of detail and a full range of tones we would sorely miss this information when we attempt to develop the RAW file. More on that later. 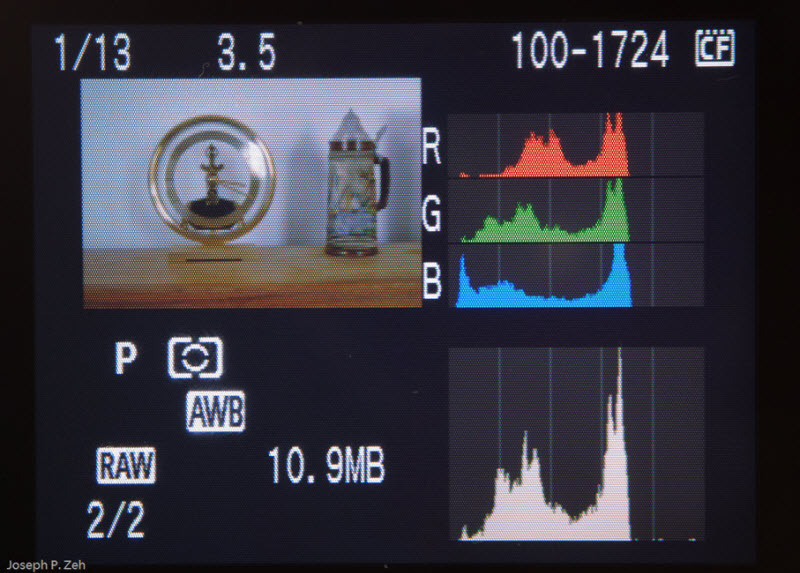 The brightness histogram is a sort of amalgam of the red, green and blue histograms. The algorithm for producing the brightness histogram from the RGB histogram is not trivial and varies from camera manufacturer to manufacturer. But you can see the general relationship is consistent. At left is another histogram, this one is of the very same picture but produced by Adobe Photoshop Lightroom. This histogram also shows that the picture is underexposed though there are no vertical lines to give you an idea how much. If you have never done it, you should take several pictures with your camera, under various types and levels of light, and compare your camera’s histogram to the that of Photoshop Lightroom. If there is significant difference make a mental note of what it is and how much. Photoshop’s histogram is likely far more reliable than your camera’s, so in the future adjust your camera’s histogram mentally to correspond with Photoshop. For example, if my camera produced the histogram we see here, one and one half zones underexposed, but when viewed in Photoshop produced a histogram that showed correct exposure (all the way to the right without blowout), I would then mentally adjust all my camera’s histograms about one and one half zones to the right. Of course this is an extreme example to make the point and your camera is not likely to be that far off. Nor should you base a correction on the result of just one picture, but a number under various conditions. By the way, notice that Lightroom displays secondary color histograms, as well as red, green and blue histograms. What we have learned from this test shot is that we have to adjust the exposure, increase it in this case. I would try increasing it a full stop and take another test shot. Since we don’t want to change either ISO or f-stop we can use the camera’s exposure compensation setting to accomplish this. Alternatively the camera’s bracketing capability could be used. I usually do this until I get the histogram I like. I must be sure not to go too far, or I will blow out the brightest pixels, that is render them as pure white with no detail. Next I take another test shot, this time with a gray card in the picture as shown right above. Click on the picture to see an unadjusted enlargement. Notice there is a little too much yellow and magenta. I can use the fact that the upper right hand corner of the card is 18% gray, the bottom two are pure black and pure white and the upper left is a neutral gray. When I process it in Lightroom I can correct this color imbalance which is called white balance correction. The nice thing about shooting RAW is that I can do this in the computer, I don’t have to worry about it at capture time in the camera. Besides, Lightroom is far better at this than the software in the camera. Finally, if I were shooting for my portfolio, I would remove the gray card from the picture and take the actual shot. The picture at left is the same composition, but I left the gray card in so you can see the color after corrected in Lightroom for white balance. Nothing else has been done. Notice the grays, black and white in the card are now correct. Though it may not be obvious to you, since you don’t work in my shop, I can tell that the other colors are also correct. The advantages of a gray card are many, but this is especially true in mixed lighting conditions – it can save a lot of work and trial-and-error in the development process. I actually have done this enough that I have characterized my shop and have a white balance template in Lightroom called SRWW Shop. Now I can take a photo without a gray card test shot and simply apply SRWW Shop to it when I load my RAW files into Lightroom. We will discuss this white balance technique more in the next installment. One last subject I want to discuss before ending this installment is the advantage of shooting RAW. We have discussed this before, I know, but now I want to show you an example. The picture at right is a jpeg just as it would look coming out of the camera. Most DSLRs have the ability to shoot both RAW and JPEG at the same time. This picture is the jpeg image. I adjusted for exposure and color corrected the RAW image in Lightroom in 16 bit per pixel mode and then converted it to a jpeg file. The jpeg image was adjusted for exposure and color corrected in Photoshop CS3 in jpeg 8 bit per pixel mode and saved. The RAW processed image is at left and the jpeg processed image is at right. They are very similar, as close as I could get them. Now let’s compare the resulting histograms. The RAW processed jpeg histogram is at left. The JPEG processed jpeg histogram is at right. Both histograms were produced by Photoshop CS3. Note their general shape is the same, but the JPEG processed JPEG histogram has missing data or more accurately missing tones, which can manifest itself as banding, the abrupt steps in tones instead of smooth undetectable transitions. This is caused by the camera throwing away large amounts of information when it converted, in camera, from RAW to JPEG. The picture at left was taken from the camera as a RAW file, processed in a RAW format, and then after all exposure and color correction adjustments were made, converted to JPEG. Since this picture retained all its information through its processing the resulting JPEG has many more tones and isn’t likely to show banding. This is a graphic demonstration of why capturing and keeping as much information as possible until the very end is critical. That is one major benefit of RAW. The other major benefit of RAW is that you can always go back to the RAW file and re-develop your picture, perhaps differently to create a different interpretation. So far we have captured a picture in RAW format that is correctly exposed. In the next installment we will develop the picture in Adobe Photoshop Lightroom. 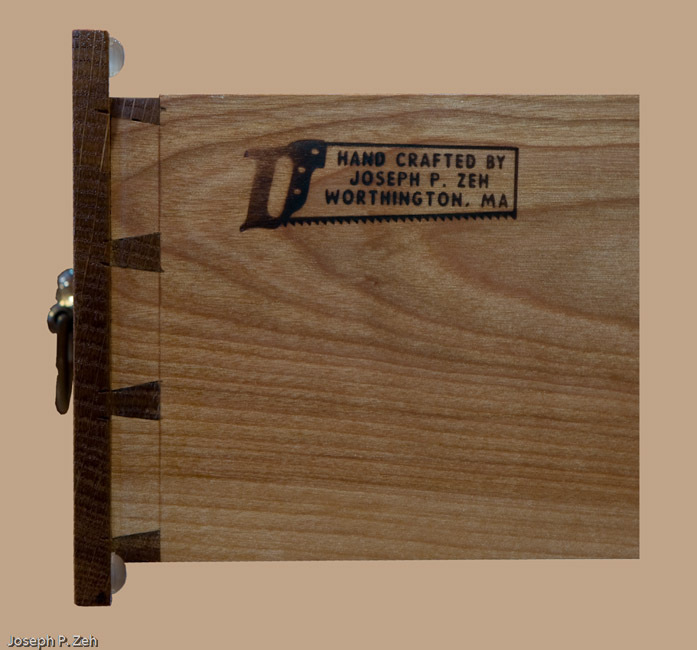 See you in Woodworkers And Digital Photography – Part 6. In this installment we are going to focus on the RAW file format and explain why it is important to shoot in RAW versus JPEG. I shoot exclusively in RAW, no matter the type of photography I am shooting. You may discover that you may also want to shoot RAW after reading this blog. I also convert my camera’s native RAW format to DNG, a RAW file format developed and maintained by Adobe as a standard format. More on DNG in the Part 5 installment. Before getting into the tradeoffs of RAW vs JPEG we need to discuss a little about how a digital camera captures a picture. The sensor is the heart of the digital camera. It is a semiconductor chip designed as an array of light sensitive cells. As mentioned in Part 3, there are two types, CCD and CMOS. In today’s technology which type is used is not a significant factor in the resulting picture quality. We will not go into the details of differences here. In both technologies the sensor’s array has an aspect ration and size; some are full format size equal to a 35mm camera which is actually 36 x 24mm, and some are smaller such as the Canon 40D which is 22.2 x 14.8mm. The former are typically found in professional DSLRs which sell for $2,000 or more. The latter are found in the high end amateur and prosumer DSLRs such as the Canon Rebel and the Canon 40D respectively. These Cameras range in price from $800 to $2,000. In the last installment we discussed in some detail the effects of a smaller format on lens behavior and image noise. For this installment, there is little difference between format sizes relative to shooting RAW versus JPEG. The aspect ratio is something to consider. Most DSLRs that are not full format (35mm format) tend to favor an aspect ratio which is more inline with how we humans like to see things. A typical ratio is 1.5:1 and this translates to 3888 pixels by 2592 pixels in the Canon 40D which is a 10.1 mp camera. What the sensor size and aspect ratio mean is that the sensor, in the case of the Canon 40D, has 10.1 million light sensitive sites arranged in an array, 3888 sites by 2592 sites, on a semiconductor die that is 22.2mm by 14.8mm. These sites are NOT sensitive to color by themselves. They are sensitive only to light intensity; each site counts the number of photons striking it and converts this to a stored charge or voltage. To register color a mask of three filter colors – red, green and blue, the primary colors – is placed over the entire chip (die). This mask is arranged in such a way that only one red, or green or blue filter resides over a site. Further it is arranged in rows of alternating red and green followed by blue and green. This is called a Bayer pattern and it results in twice as many green filters as red or blue. This is because the human eye is much more sensitive to green than either red or blue. There are other filter methods of capturing color information on a sensor, but this is by far the most prevalent. See the figure above left for better understanding of the Bayer pattern. In addition to the Bayer mask there is a blurring filter which blurs the image slightly, not so much that it can’t be corrected with software later, but enough to help capture color information. I will not discuss details of this but be aware that, because of the blur filter, all images have to be sharpened slightly to recapture their original sharpness. One other feature of a DSLR we discussed earlier is the bit depth, that is the number of bits of resolving power in each pixel’s sense amplifier. This can be anywhere from 8 to 16 bits with most DSLRs having 10, 12, 14 or 16 bits, more commonly 12 or 14. 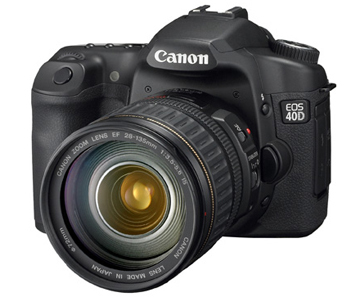 The Canon 40D has 14, which means it can capture up to 16,384 levels of brightness in each pixel. After demosaicing this translates to up to 14 bits of (or 16,384) brightness levels per red, green and blue channel. I say “up to” because whether it captures this much information depends on the scene and the exposure. More on this later. One thing you may notice is that the Bayer pattern effectively cuts the number of pixels by a factor of three, that is, no pixel has all three colors, it only has information about red, green or blue. So does that mean the Canon 40D is a 3.3 mp camera? No. 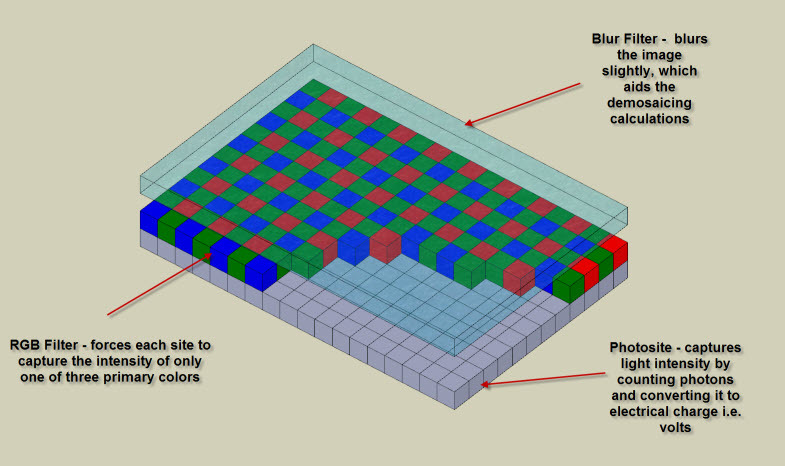 What the internal processor does is perform calculations on each pixel site, using information from its nearest neighbors, to reconstruct the pixel with full color information for that site. This interpolation step, called demosaicing, is a proprietary algorithm and may differ from manufacturer to manufacturer and even from model to model within a manufacturer’s line. Further, demosaicing is a complex algorithm which requires a lot of compute power and time, neither of which your camera has. The camera has to be ready for the next shot, hence the manufacturer has to make a tradeoff between burst rate and quality of processing algorithms. I am not going to go through all the processing steps the camera performs when shooting JPEG. Suffice it to say there are many such as colorimetric interpretation, color space calculations, white balance, gamma adjustment, contrast adjustment, color adjustment, noise reduction and sharpening to name a few. Many of these are a function of settings the photographer directly chooses and some are secondary choices the camera makes. After the aforementioned processing steps the internal processor performs an 8-bit conversion, JPEG compression and file storage. The level of JPEG compression is chosen by the photographer. Finally, after all the above good work, the internal processor does the most sinful thing, it throws away every piece of RAW information (unless you choose shooting RAW + JPEG). You now have a JPEG file with 256 levels of brightness per color channel versus 16,384 and you have lost all information regarding original exposure, contrast, white balance, color saturation, sharpness, etc. The film can be exposed at any ISO you choose within the camera’s ISO range. Once exposed it need not be stored in a refrigerator to prevent its exposed contents from degrading. In fact, it can last for 100 – 200 years without degradation on a gold backed CD or DVD. It can last forever if the CD or DVD is reproduced regularly (say once every 100 years). It can be developed over and over without changing the films content, that is, it always remains an exposed and undeveloped film even though it is processed (developed) any number of times. You can process it a few ISO settings higher or lower than the ISO it was exposed at without loosing visible detail. When processing (developing) you have complete control of all the steps applied to the equivalent JPEG capture from demosaicing on, and you can still produce JPEG images in the end. The information available to correct any mistakes in shooting is far greater than in JPEG images. 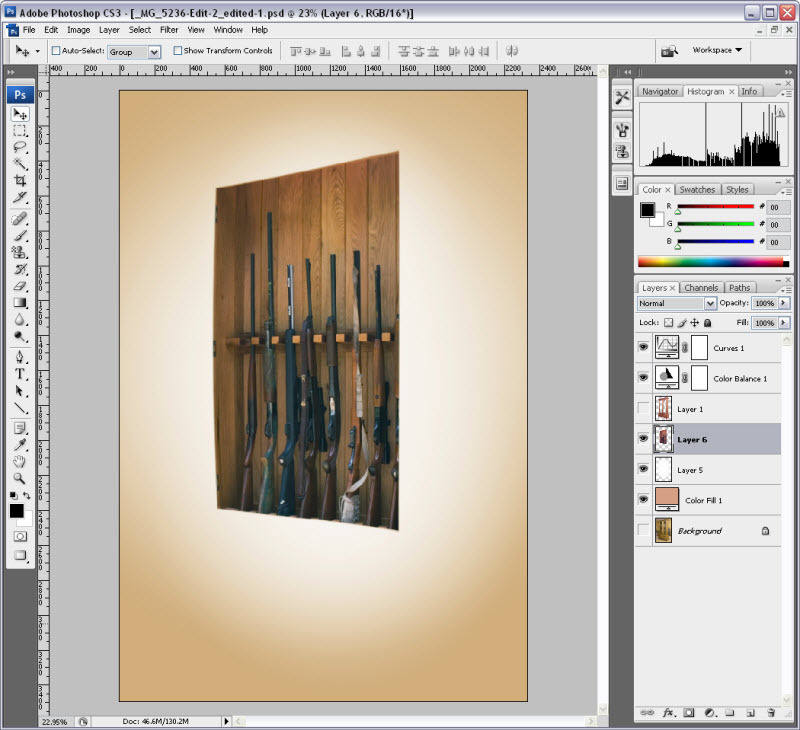 Its dynamic range is greater than JPEG and can be manipulated to produce a High Dynamic Range print. Each and every picture on the roll can be developed (over and over) with a different process, meaning different exposure, white balance, contrast etc. All information concerning exposure (f/stop, shutter speed and ISO), camera make and model, date and time of exposure, copyright information and much more is contained in the file (this information is also available in the JPEG file). Sounds good? Well that is exactly what RAW files are. Nearly a panacea for the photographer. 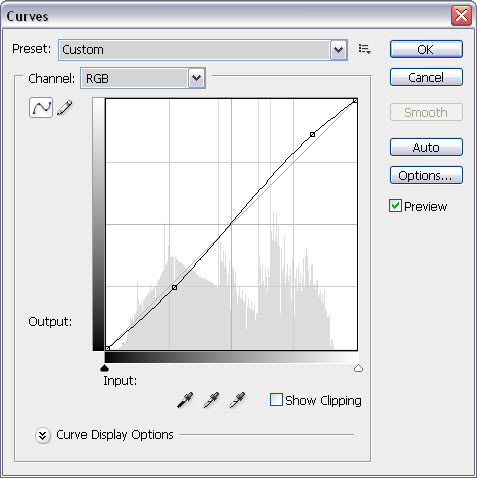 All Processing, from demosaicing on, is done by RAW converter software on your desktop computer. Most RAW converter software packages, such as Lightroom and its Camera RAW engine, can take more time and use better algorithms than the camera can. Remember, as mentioned earlier, the camera has to be ready for the next shot, hence the manufacturer has to make tradeoffs between burst rate and quality of processing algorithms. RAW files are compressed using lossless compression techniques. This means all image information is forever available to the photographer or developer. JPEGs are stored as lossy compressed files. This means image information is discarded in favor of smaller storage file size and can never be recaptured. More control over many of the processing and exposure parameters. For example you can choose any white balance combination of temperature and tint. This is useful especially in mixed light environments. With JPEG shooting you typically have to choose between “Daylight”, “Overcast”, “Cloudy”, “Fluorescent” or some other discrete choice. 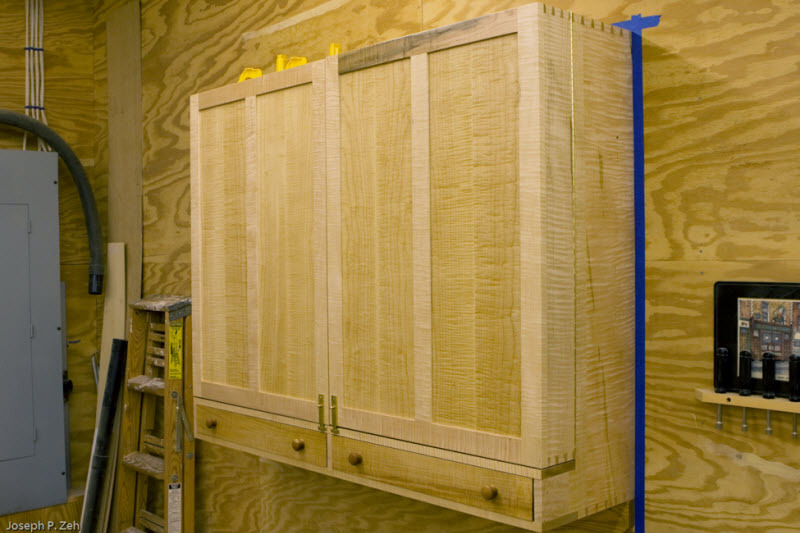 For the woodworker who is shooting in a workshop with mixed fluorescent and daylight, this can be very important. With RAW a color space can be chosen anytime or changed at anytime. With JPEG a color space gamut has already been applied which may be inappropriate for the end use. RAW maintains its 12 bit or 14 bit information, whereas JPEG files are gamma compressed 8-bit data. JPEG suffers from information loss due to compression and its resultant artifacts, and in addition its 8-bit conversion can produce unwanted quantization artifacts. Because RAW files have more image data to begin with, large changes can be made without introducing artifacts, such as large changes in exposure. Such changes will almost always produce artifacts in JPEG images. The photographer can concentrate on image composition, focusing and exposure. All other decisions can be handled in processing (white balance, contrast, color balance, sharpness etc.). With JPEG you must make these decisions prior to capture. The largest drawback to shooting RAW is the large file size, typically 2–4 times that of JPEG. This means fewer pictures on a memory card between card changes. This can be a problem for sports or wedding photographers, but it is not a problem for the woodworker trying to capture images of his or her work. Since RAW images are much larger, fewer can fit in the cameras buffer before being written to the memory card and writing them to a card can take longer. This results in fewer pictures taken in a burst. Again, a problem for the sports photographer but not the woodworker. JPEG is a standard. RAW is not actually a file format, it varies from manufacturer to manufacturer, and even from model to model, and the file extension is usually not .raw but different for each manufacturer, and RAW is certainly not a standard. However, I will discuss in Part 5 how this is ameliorated by downloading the camera’s card and converting its RAW file at the same time to Adobe’s DNG RAW file format. Because RAW files are proprietary, it can take some time from camera introduction until a RAW file converter supplier can reverse engineer the file structure and support it. Adobe seems to do this in a matter of a few weeks, so this is not a big problem. 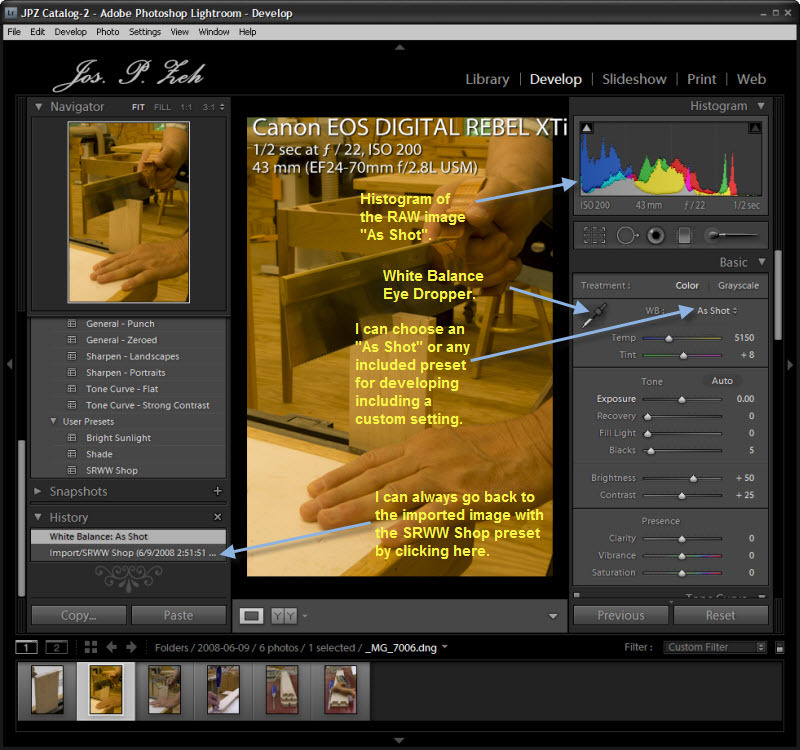 RAW image workflow, the sequence of steps needed to process (develop) RAW images, can be significantly longer than JPEG. The tradeoff here is quality of image verses your time. If you spent significant time crafting a piece, I would suspect you want its entire beauty visible in your portfolio picture, and the relative time of developing to crafting is small. I would like to discuss the RAW image bit depth in more detail so that we can have a better basis for determining correct exposure which we will discuss in the next installment. As mentioned earlier, RAW images capture large numbers of brightness or tone levels, in the case of the Canon 40D 14 bits worth. A little binary arithmetic is in order; 14 bits can represent any decimal number from 0 to 16,383 or 16,384 levels. Like decimal arithmetic, the most significant digits hold the most information. For example, if a decimal number has three digits left of the decimal point it can represent 1000 steps, 0 through 999. If there are only two digits it can represent 100 steps, 0 through 99. Finally if it has one digit 10 steps, 0 through 9. Note that as we lost a most significant digit we went from 1000 possible steps to 100 to 10. Clearly the highest order digit holds the most information. In binary arithmetic you have the same situation except the only numbers are zero and one. If the most significant 14th bit is set to a one and the rest can change, you can have 8,192 steps (8,192 through 16,384). If the 14th bit is set to zero you can also have 8,192 steps (0 through 8,191). Now suppose the 14th bit is always zero and the 13th bit can change between zero and one? How many steps can you have? The answer is 4,096 in each case ranging from 0 through 4,095 with the 13th bit set to zero and 4,096 to 8,191 with the 13th bit set to one. If we were to leave the highest two bits pinned to zero we would have two groups of 2,048 steps and so on down to two steps when only the least significant bit can change and all the higher bits are pinned to zero. Now imagine that when any bit position is a one it is a bucket. The maximum number of steps that bucket can hold is a function of its position or order. The total number of steps is 16,384 for a 14 bit binary number. This is shown in the table below. Note that the sum of all numbers in the bottom row is 16,384. So what is the significance of this and why are we spending so much time on it? Note that bit 14 can hold half the total tonal (brightness) information, while bit 13 can only hold one quarter the total tonal information, bit 12 one eight and so on. If you want to capture the most possible information in an image, you have to choose an exposure that will set all bits for some number of pixels, but leave no pixel asking for more tonal steps. If the exposure leaves some pixels asking for more tonal steps than 16,384, the camera can not accommodate it and the information is lost. This is called blowout in photographic parlance. Similarly, but more importantly, if no pixel sets bit 14 to a one, the most tonal steps the captured image can have is 8,192, the other 8,192 lost because bit 14 wasn’t used in the chosen exposure. If neither bit 13 nor 14 is set by any pixel, the maximum tonal range is 4096 steps, only one quarter of the camera’s capability. This is called underexposure in photographic parlance. Note another point. JPEG files only have 8 bits of depth. From the above table you can see that means 256 steps of tonal information (the sum of the bottom numbers starting from 1 to 128). If a scene is captured in a RAW file with optimal exposure you must squeeze 16,384 tonal levels into 256 tonal levels in the conversion to JPEG. Imagine the loss of information. In the other extreme, if a scene is captured in a RAW file with a sub-optimal exposure that uses only the first 8 bits, then converting this to a JPEG is not a lot of information loss because 8 bits fit nicely into 8 bits. But hey, you didn’t capture much information to begin with. If you recall, that is, if you did much 35mm film photography, you were taught to expose for the shadows and adjust for the highlights later. In digital photography it is just the opposite. You expose so that you use all of the bits available to you, but no more. This means exposing to correctly capture the highlights without overexposing (although when you shoot RAW you can overexpose a little and good RAW converters can use magic to recover a little). This exposure technique will be covered in the next installment when we discuss image capture which includes the introduction of tonal histograms. Shooting RAW has many advantages and is the only way to maximize the image quality your DSLR is capable of. 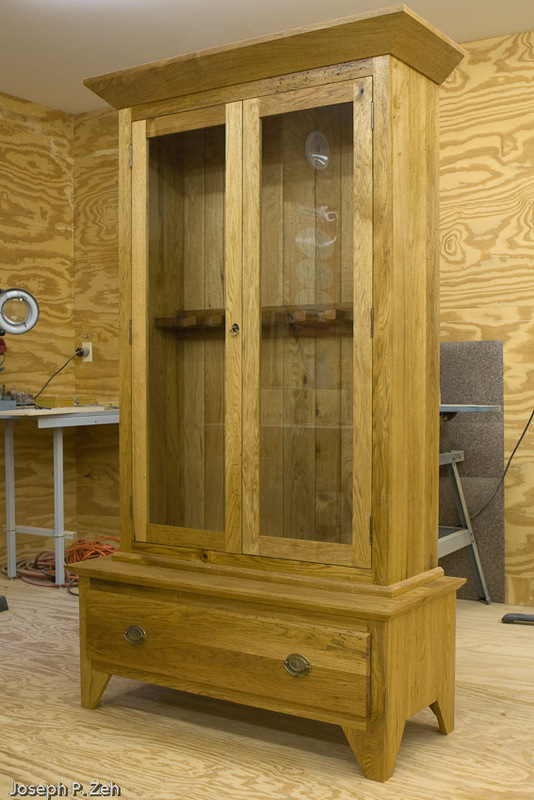 It comes at a some cost, but most of that cost is insignificant to the woodworker trying to capture the beauty of his or her work. It is not enough to shoot RAW to maximize the quality of your image, you must also expose your image so that it uses all the tonal range your camera is capable of; this means exposing for the highlights without blowing them out. Underexposure wastes large amounts of information which cannot be retrieved. When you purchase an expensive DSLR, ask yourself, are you buying it for its ability to capture high quality images, or its superior conversion algorithms? If the answer is the former, most of that image quality may be thrown away when shooting JPEG. If the answer is the latter, sorry, you are fooling yourself. RAW converters, the really good ones at least, do a better job of developing RAW files than the camera, and cost a lot less. 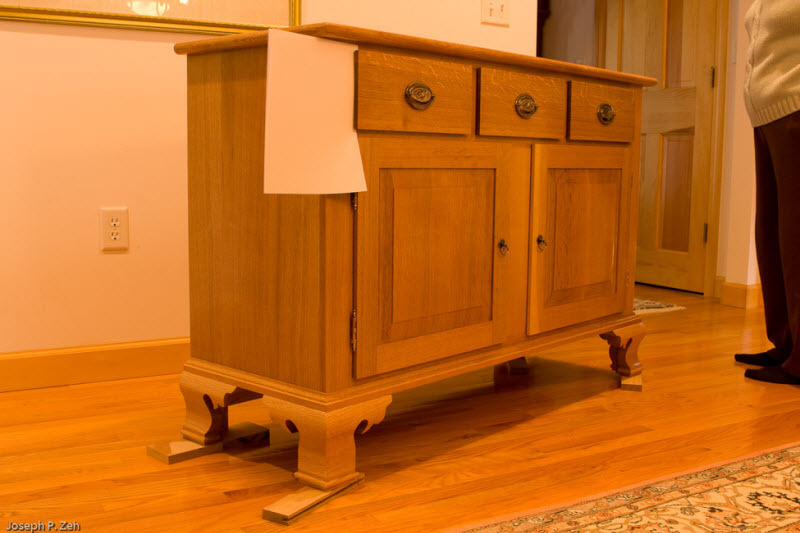 See you in Woodworkers And Digital Photography – Part 5 where we will put Parts 1 – 4 together into a discussion of capturing images. 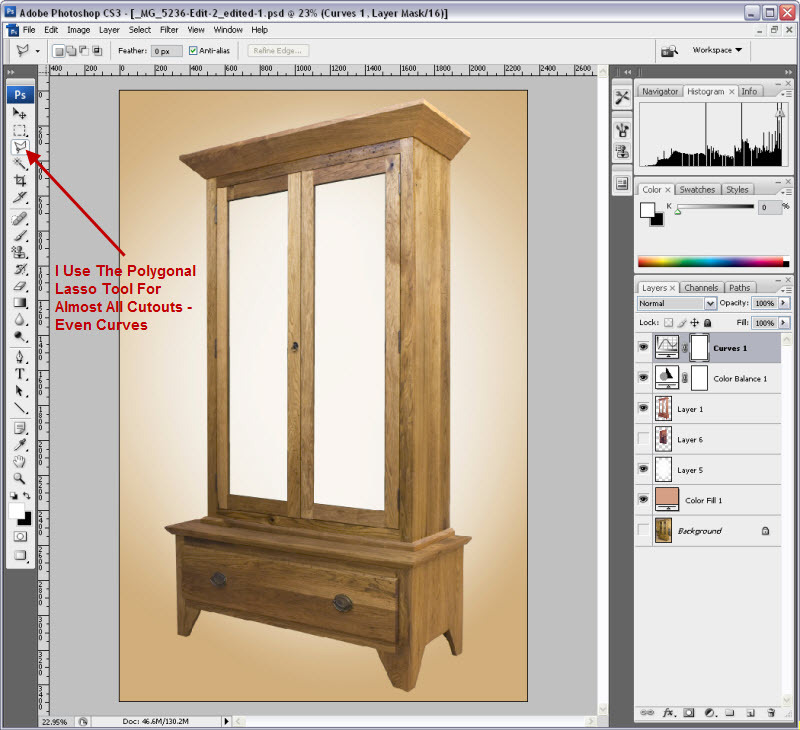 Part 6 will begin a discussion of developing images using Adobe Photoshop Lightroom. Bye for now. 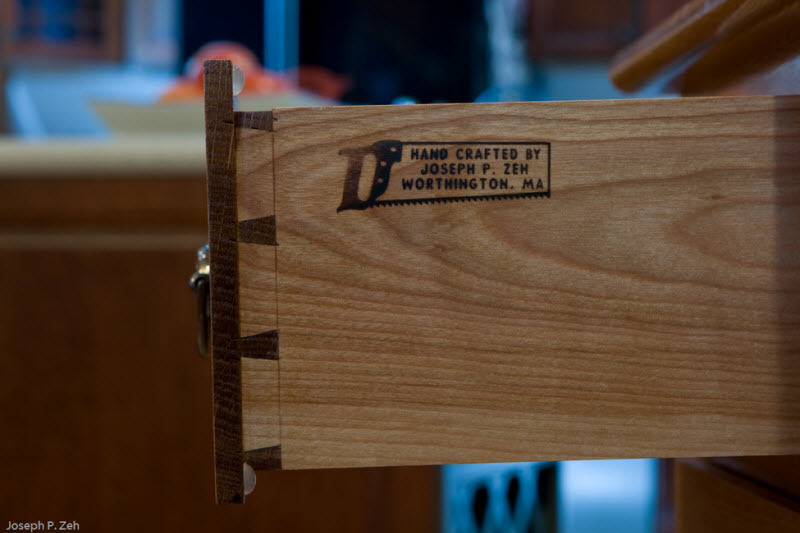 I would like to repeat that this tutorial is directed at woodworkers, not photographers. What I will cover relates to how a woodworker can use photography to enhance his/her woodworking. 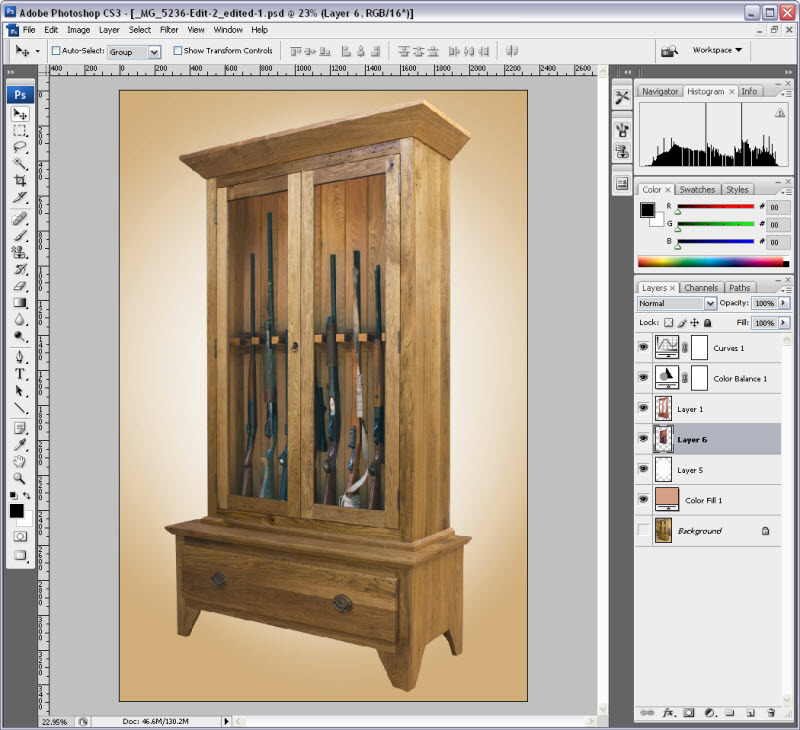 Generally this means photographing stills for a portfolio, website, blog, or even capturing wood grain to use for texturing a SketchUp model. What we will not discuss, and what is not implied in anything I cover, is nature photography, portraiture, sports photography, macro photography etc. The camera, lenses, other accessories, techniques, software et al are often different between photographic styles. Today we are going to focus on the camera, or more specifically the camera body; its features and specifications that make it more suitable for woodworking photography. The preferred camera, and the only one we will discuss here, is the Digital Single Lens Reflex or DSLR camera. These cameras are very similar to their 35mm cousins, although both SLR and DSLR have replaced largely mechanical innards with almost entirely electronic innards these days. What is important about an SLR is that you see in the viewfinder exactly what the lens sees. In fact, the viewfinder is getting its image by redirecting a portion of the light that passes through the lens to the viewfinder with the aid of a mirror. Not only does the viewfinder see what the lens sees but it can also see the depth-of-field (DOF) produced by the lens and its f/stop setting. This is accomplished by depressing a DOF preview button, available on most DSLR cameras. This button stops down the aperture diaphragm which allows you choose an f/stop that will produce the desired DOF which can be evaluated in the viewfinder. Many DSLR cameras have an exposure mode selection that is essentially a DOF priority mode, much like aperture priority or shutter priority. On my Canon cameras it is called A-DEP for automatic depth-of-field. What A-DEP does is automatically choose an f/stop that will maximize the DOF for most of what is in the scene. It then chooses an ISO and shutter speed that will give correct exposure. 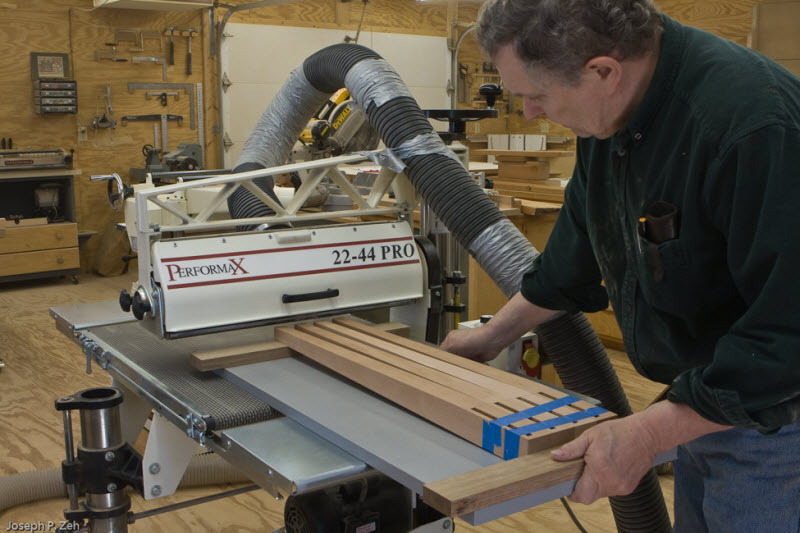 In both of these cases, either manual setting of f/stop or A-DEP, you are likely to end up with a small aperture and long shutter speed, because you will want the maximum DOF to ensure your woodworking piece is in total focus. Long shutter speed means camera blur unless a tripod is used, and that is why a tripod was listed as necessary equipment in Part 1. Almost all the photographing we will do as a “woodworker photographer” will be with a tripod. While we are still on SLR features, many of the new DSLRs have a feature that allows you to see the image on the LCD instead of the viewfinder. On the Canon this is called Live View. Normally, when shooting hand held, I would never use this feature. But it does come in handy when the camera is mounted on a tripod, especially when the height of the viewfinder ends up higher or lower than eye level. It also allows both manual and auto focus. In addition, for manual focus, you can zoom the LCD 5X or 10X for easier and more accurate focusing. This is a really nice feature when shooting on a tripod. ISO is an acronym for International Standards Organization (more precisely International Organization of Standards). In photography it refers to the standards adhered to by film manufacturers or digital camera manufacturers. Remember when you went to the drug store and bought ASA 100 film for outdoor shooting, or ASA 400 for indoor shooting? Well, ASA and ISO are equivalent arithmetic scales that define the amount of light a film required for correct exposure. ASA or ISO 100 film required twice as much light for correct exposure as did ASA or ISO 200, and four times as much as ASA or ISO 400. When digital cameras came along the manufacturers adhered to the same ISO standards for adjusting the “sense amp” levels on sensors. Don’t let the technical term “sense amp” throw you, it simply means sensitivity. Some cameras may eventually go much higher than ISO 12800, but for now it is pretty much a useless setting save for emergencies. There are two things that should be obvious from this progression of numbers. First, each one is twice the previous in numerical value. Second, this doubling/halving relationship is very much like shutter speed and f/stop full steps. This is not a coincidence. As you go up in ISO, each step in value requires half the light for correct exposure as the previous value, and just the opposite as you go down. So for any lighting condition there is a very large combination of ISO, f/stop and shutter speed that will satisfy exposure. The photographer chooses different combinations depending on the artistic effect he or she is trying to produce in a print. 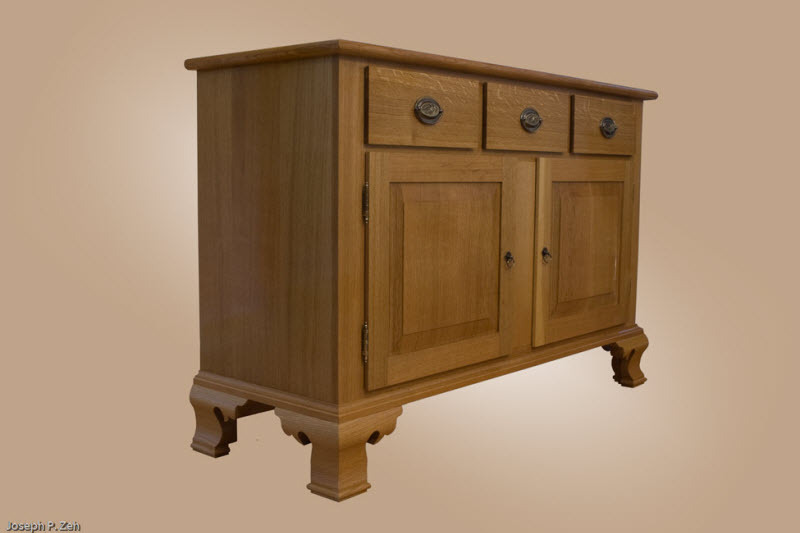 As woodworkers we will opt for ISO 100, 200 or 400 combined with a small aperture and long shutter speed. The low ISO ensures little noise or grain in the picture, the small aperture produces large DOF and the long shutter speed is the price we pay, the latter mitigated with the use of a tripod. Group 1. is called Image Zone or Non-Creative Zone meaning they are pretty much fully automatic. The photographer trusts the camera to produce a reasonable result. Group 3. can also be fully automatic but the photographer has a say in many of the settings, but not at the time of image capture. Group 2. is the creative modes or zones. P stands for Program Auto Exposure, Tv for shutter priority, Av for aperture priority, M for manual and A-DEP for automatic DOF. We are interested in Av, M and A-DEP. Av allows you to choose an aperture setting and ISO manually. It then determines the correct shutter speed. Aperture priority means you give priority to the aperture and let the automatic exposure system choose a corresponding shutter speed. Of course, if you want to choose all three manually (aperture, shutter and ISO) you can use M. As mentioned before A-DEP, a sort of DOF priority mode, chooses both f/stop and shutter automatically, but gives priority to DOF. The internal microprocessor evaluates the scene and adjusts f/stop until nearly the entire scène is in focus. Then it chooses an appropriate shutter speed. Focusing in any of these three modes can be either automatic or manual and can be achieved through the viewfinder or LCD providing your camera supports it. No matter what kind of photography I am doing, woodworking or any other, I always shoot RAW. Professional photographers will argue that this is wasteful in terms of file storage, development time, and even capture time if you are shooting sports scenes. But I am not a professional photographer, I am an adult, and I can shoot the way I want. Besides, I think I have good reasons to do so. First, let’s discuss what JPEG and RAW are. Every time you snap a picture with a DSLR an internal microprocessor captures information from the light sensitive sensor (electronic film), manipulates that information according to a number of algorithms and finally stores it on a memory chip according to some file structure. Common file structures are TIFF, JPEG, RAW, and many others I won’t mention here. RAW is actually a general classification of file types specified by each camera manufacturer. For example Canon uses .CRW and .CR2, Nikon’s RAW file is .NEF and Panasonic actually uses .RAW. There is only one quasi RAW standard and that is Adobe’s .DNG for digital negative. Adobe can take almost any RAW format and convert it to a .DNG RAW format with no loss of data. Adobe hopes one day it will be accepted as a standard and will be supported by all cameras so that a conversion isn’t necessary. It hasn’t happened yet. You can mentally classify each file type by whether it is a compressed file or not, and whether the compression algorithm used is lossy or lossless. Most file formats are compressed to some degree. This helps to reduce storage space and improve transport time. Some compression algorithms compress files a lot, even to the point they sacrifice image content and quality, provided the end result is not too discerning by the eye. TIFF (Tagged Image File Format) is a compressed file using lossless algorithms. It is used widely in desktop publishing, page layout and faxing applications. Of the three formats it is usually the largest. Many DSLR support or once supported TIFF, but are now focusing (no pun intended) on JPEG and native RAW. RAW is a lot like TIFF in that it is compressed but using lossless algorithms, that is, the entire image content is preserved. RAW is generally compressed more than TIFF and hence smaller. But while TIFF is a standard, as mentioned RAW is different for each camera manufacturer. Why is that? Well it is probably equal parts of proprietary advantage, and different sensor technologies. Too complex for this tutorial, maybe another time. JPEG (Joint Photographic Experts Group), like its motion picture equivalent MPEG (you guessed it – Motion Picture Experts Group), is a highly compressed file using lossy techniques. Many DSLRs allow you to choose levels of compression, sacrificing picture quality even more for smaller file size, hence more pictures on a memory card. In most DSLR cameras RAW files are 3 to 4 times larger than their JPEG equivalent (equivalent in resolution, not quality). This is why JPEG is so popular. But there are a number of drawbacks to JPEG. First, JPEGs are highly processed by the camera. That is, depending on the Image Zone, custom setting, white balance and exposure you choose, the internal microprocessor “develops” the picture for you and then produces a JPEG file. Once the picture is developed, the original information is thrown away by your camera. It is akin to developing 35mm film. Once you put it through the chemical baths and develop it, you can’t go back. If you developed it poorly, sorry, deal with it! RAW on the other hand is like exposed, but undeveloped 35mm film, but better; it lasts forever. You can develop it with a computer application such as Adobe Lightroom, but the development is non-destructive; the original file is left intact so that you can develop it again with a different “formula”. Try that with 35mm film. Now some will argue that you can take a JPEG file and redevelop it in Lightroom or some other application. Not so fast! That is akin to taking a processed 35mm film (already developed), copying it via camera or scanner, and then developing that picture into a JPEG. The result is two layers of lost data. The point is, once you loose the information a camera throws away after creating a JPEG, you can’t get it back. How much information are we talking about? Well there are three types of loses. The first is due to the compression which is lossy. The second is due to the choice of file format. The third is due to the fact that we developed the image, which means we made choices, perhaps bad ones, about exposure, color, contrast etc. The file format is a big information loss, as is the developing. JPEG images are made up of pixels, the number of which depends on the resolution, e.g 10 megapixels. Each pixel has a Red, Green and Blue channel, and each channel is 8 bits deep. A little binary arithmetic says that is 256 tone levels per channel. RAW images on the other hand, are also made up of pixels with a Red, Green and Blue channel. But RAW images, depending on the camera manufacturer and the model, have from 10 to 14 bits per channel going to 16. My Canon 40D has 14. Again, binary arithmetic tells us that is 16,385 tones per channel compared to 256. Now before you say “Oh my God! I can’t believe the difference.”, even I have to admit not all that difference is perceived. The eye is a logarithmic beast. For example, shining twice as much light on a subject is not perceived by the eye as twice as bright. None the less this is a huge difference especially when it comes to artifacts introduced when we adjust color, white balance, contrast etc. How this plays out will become more clear when we discuss Adobe Lightroom and image development. In fact, I may break the Adobe Lightroom installment into two installments to cover RAW vs. JPEG in more detail. I really feel strongly about RAW. Perhaps the most important part of a digital camera is its sensor, that small rectangular semiconductor chip that lies on the focal plane of the camera. That is where the lens focuses the image, it is where the light intensity and color are registered and it is where the ISO speed is determined. More important than all of that, it is where the quality of the image is determined. You may read a lot about CCD (charged couple devices) vs. CMOS (complimentary metal oxide semiconductor) sensors. Go ahead and read it for education purposes, but in today’s technology world, both produce extremely good sensors. If I had to guess, CMOS will probably dominate or even eliminate CCD in the end, if for no other reason than the research infrastructure and manufacturing equipment infrastructure heavily favors CMOS. But as I said, if you buy a DSLR from one of the big guys (Canon, Nikon, Sony, Panasonic etc.) trust them to make the choice in technology. They are good at it. Resolution – As stated earlier, 10 megapixel is probably more than you will need. If you go higher make sure the sensor is physically large enough to produce high quality images (more in a moment). Bit Depth – Ideally you want 16 bits per channel, but 10 is ok, 12 better and 14 is great. Bit Depth determines the resolution of the sense amplifiers that detect the light falling on the sensor. Sensor Dimensions – I am not talking about aspect ratio here. I mean the actual physical dimensions of the sensor. Other things being equal, bigger sensors, or more specifically, the larger the area per pixel of resolution, the better. The second point above gets to the issue we discussed in the previous section on RAW vs. JPEG. We want a lot of tonal information in our RAW file. This will give us a lot of room to correct all kinds of problems in the final rendering without creating unwanted artifacts common when capturing only JPEG files. 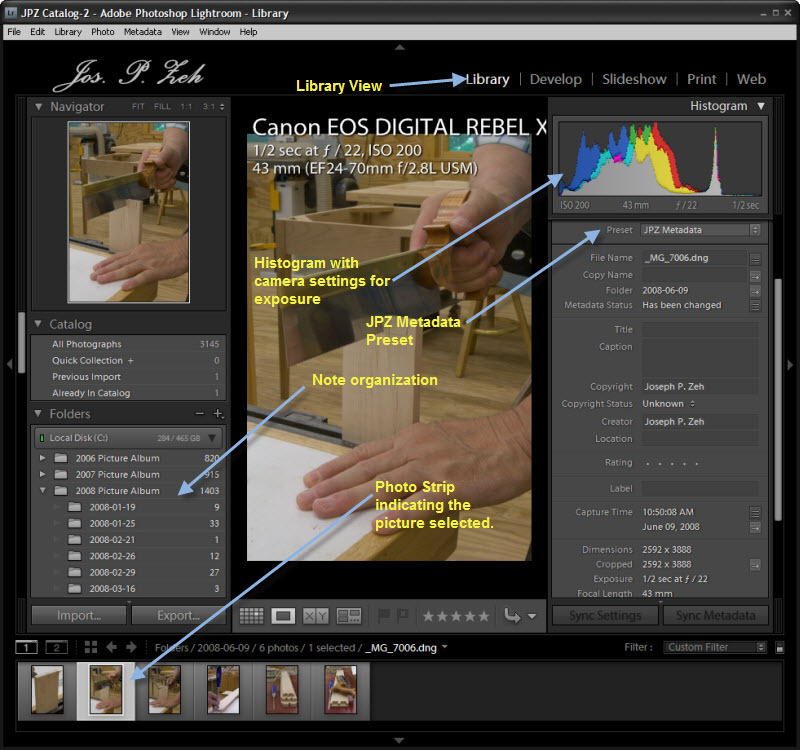 I will demonstrate this visually when we discuss RAW files and Adobe Lightroom further. The first and third points above are similar in some respects. You know that you can purchase a 10 megapixel point-and-shoot camera for around $100. You will also spend about $1,000 for a 10 megapixel Canon 40D. What’s the difference? Well a lot of things including lens quality, body design, shutter speeds and quality, functionality etc. But one of the large differences is the physical dimensions of the sensor. Semiconductor real estate is very expensive. In point-and-shoot cameras the manufacturer can’t afford to use much of it. So the sensors are tiny. However, specs sell, so manufacturers have to offer a 10 megapixel specification, even for a $100 camera. The problem is that the area per pixel is very small, which means there isn’t much silicon (semiconductor) to sense light, hence low signal. However, that same small silicon can be heated more readily by surrounding circuits, hence more noise. This makes the Signal/Noise ratio low, not what you want for high quality images. While there are a lot of other differences between these three cameras, there are two that distinguish them one from another. The move from the Rebel to the 40D had more to do with bit depth. While the sensors were the same size, they weren’t the same sensors. I suspect the processing technology was improved in addition to improvements in the sense amplifier technology. The image quality improved as one would expect. The move from the 40D to the 50D was kind of like the point-and-shoot tradeoff we discussed. In order to keep manufacturing costs consistent with the price range the silicon cost needed to be the same, hence the die size remained essentially the same. But to compete on specification the resolution was increased a whooping 50%. The image quality was actually slightly less than the 40D (more noise), though only in the higher ISOs. One has to wonder if this was a good tradeoff. Do we really need 15 megapixels in essentially a serious amateur/entry level professional camera? Isn’t image quality improvements with each generation more important? Don’t get me wrong, the 50D is an excellent camera, Digital Photography Review gave it their highest rating. But perhaps it could have been even better. The last subject in this long camera installment I want to discuss is exposure metering. Most digital cameras have several metering modes, typically Evaluative, Center Weighted and Spot. These modes may have different names in different brands and models, but generally there is one mode that averages the entire scene and makes an exposure decision, a mode that looks at perhaps 30% of the scene around the center and makes an exposure decision and a mode that measures between 2 – 3% at the center and makes an exposure decision. Spot metering is great. It allows you to choose a specific spot in the scene, perhaps a highlight, and expose for it. You can sample some number of spots and decide for yourself a correct exposure. The point is that it gives you options. The other two modes are more difficult to work with in terms of sampling a specific point or area. That said, the metering system in most DSLRs is quite good these days, so if your camera doesn’t support spot metering it is not a crisis. In summary, the important features of a digital camera, as far as we woodworkers are concerned, are SLR technology, the ability to set ISO, support for Av aperture priority, DOF priority is a plus, LCD focusing, support for RAW files, a quality sensor and spot metering. It is now time to break. 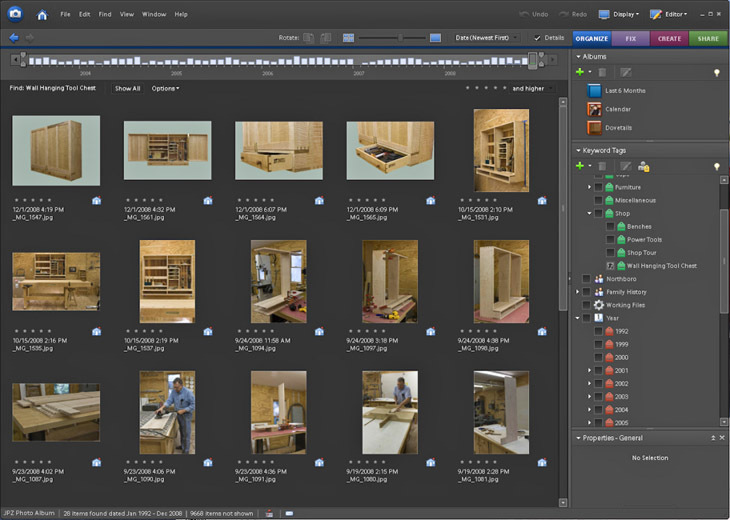 I will see you again in Woodworkers And Digital Photography – Part 4 where we will discuss RAW in more depth, especially as it relates to developing images in Adobe Lightroom. Let’s go through the above examples and decipher the specifications. Both of the above lenses are members of the Canon EF line, meaning they can be used on any Canon EOS camera. They are both variable focal length or zoom lenses. Whether they are telephoto, normal or wide angle depends on the camera to which they are mounted. More on that later. The first lens has a variable focal length of 28mm to 135mm and the second lens 24mm to 70mm. The first lens’s maximum aperture opening depends on what focal length is set, that is, the maximum aperture opening is 3.5 at 28mm and 5.6 at 135mm. Aperture openings are measured in f/stops which we will discuss soon. 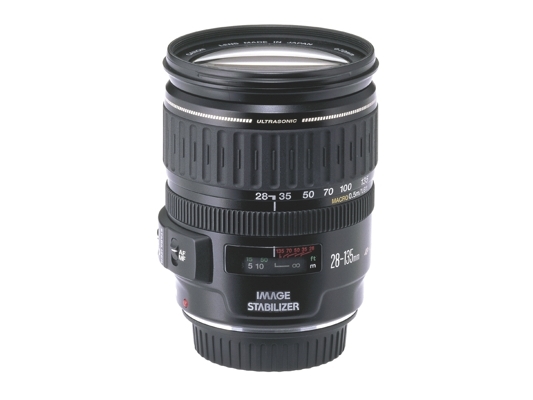 The second lens has a fixed maximum aperture of 2.8 independent of focal length. The first lens is an “Image Stabilized” lens. Both have a “Ultrasonic Motor” used for auto-focusing. The last two numbers (72 & 77) are the diameters of the lens cap and filter attachments used on that lens. The L following the f/2.8 aperture specification stands for “Luxury” meaning it is a professional lens (lots of very high quality glass). The first lens sells for about $400 while the second $1,050. OK, that was a once over. Lets go into a little more detail. Imagine driving through a long tunnel through a mountain range which exits on the other side to trees, a lake and homes. When you are one mile from the exit you have virtually no view of the trees, lake and houses, simply a spot of light. When 100 feet from the exit you might see a home or two and some trees. When 50 feet from the exit you recognize the existence of water, a field of trees an a few homes. Finally, when you are 10 feet from exiting the tunnel you get the whole view of the lake, the trees and a small town. This is similar to the view provided by various types of lenses. The 1 mile view is analogous to a pin-hole camera, the 100 foot view a long zoom lens, the 50 foot view a normal lens and the 10 foot view a wide angle lens. The difference in all these views is the viewing angle and the corresponding “focal length”. Neglecting the pin-whole camera which we are not interested in, the 100 foot view may have a viewing angle of less than 10 – 20 degrees, the 50 foot view 50 – 60 degrees and the 10 foot view a viewing angle over 100 degrees. It is the same with lenses. A long focal length lens, say 250mm, has a viewing angle of 10 degrees on a 35mm camera. A normal 50mm lens a viewing angle of 45 degrees on a 35mm camera. Finally a wide angle lens of 15mm will have a viewing angle of slightly over 90 degrees on a 35mm lens. This is why telephoto (large focal length) lenses appear to enlarge things while wide angle (short focal length) lenses tend to shrink things relative to a normal lens. Each f/# is 1/2 its left neighbor or 2 times its right neighbor in terms of the amount of exposure it permits. 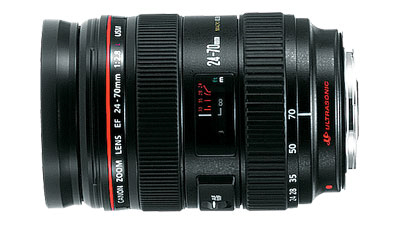 If you have a 135mm focal length lens set at f/5.6 the aperture diameter is 24mm. At f/8 this same lens has an aperture diameter of 17mm and permits 1/2 the exposure. Note that the larger the denominator the smaller the opening and the less the exposure. This is a little confusing, but with use you will get accustomed to it. 1/4000, 1/2000, 1/1000, 1/500, 1/250, 1/125, 1/60, 1/30, 1/15, 1/8, 1/4, 1/2, 1, 2 etc. Note, if an exposure meter determines the correct exposure is f/5.6 at 1/250, you can choose a number of equivalent exposures by doubling f/stop and halving shutter speed or vice versa. For example, f/8 and 1/125 is equivalent exposure to f/5.6 and 1/250 as is f/4 and 1/500. Depth of field (DOF) is another factor we need to consider. If we focus a lens on a subject there is a range of image depth that is in focus. The exact definition of DOF is beyond this post but here are a few things to remember. The image will be in focus a distance d in front of the subject and roughly 2d behind the subject. The size of d is a function of film format, lens focal length, aperture (f/#) setting, and distance of the subject from the camera’s focal plane. For example, a subject 15 ft from a 35mm camera’s focal plane, shot with a 50mm lens set at f/8 will have a DOF of 16 feet; 4.5 feet in front of the subject to 11.5 feet behind. One last factor we need to discuss to complete our discussion of lenses is actually a discussion of camera formats. 35mm cameras use 35mm film. The exposed area of this film is 36 x 24 mm. Unless you purchase a professional DSLR, whose sensors are the same dimensions as 35mm film, the sensor will be substantially smaller. My Canon EOS 40D has a sensor that is 22.2 x 14.8 mm. If you take the ratio of the diagonals of these two formats you get 1.6. That is, the diagonal of a 35mm camera is 1.6 times that of the Canon EOS 40D. Another way to look at this is to compare the images produced by the same 50mm lens used to take a picture on a 35mm camera and then a Canon EOS 40D. The Canon EOS 40D picture will be 1/1.6 that of the 35mm picture. When both are printed on equivalent paper, for example 8″ x 10″, the Canon EOS 40D print will appear as though it were taken with a 80mm lens on a 35mm camera. Therefore, since the lenses used on DSLRs are based on the 35mm format I must remember to multiply a lens’s focal length by 1.6 to understand how it will work on my Canon EOS 40D. This factor is generally referred to in the literature as Focal Length Multiplier or Magnification Factor. Most DSLRs are either full frame format (35mm equivalent) sensors or APS format (Advanced Photo System) sensors; the latter requiring a Magnification Factor typically between 1.5 – 1.6. Check the specifications for you DSLR to determine the correct Magnification Factor. These smaller sensors have both advantages and disadvantages for the photographer. One disadvantage is that it is difficult to use a high quality wide angle lens since wide angle lenses tend to be shifted to normal lenses when multiplied by 1.6. For example, a medium wide angle lens on a 35mm format camera would be a normal 50mm lens on an APS camera. There are a couple of advantages though. A 135mm medium telephoto lens is equivalent to a 216mm lens when used on an APS format camera, which is a decent long range telephoto. In addition, since the sensor is smaller, its image is the product of the inner portion of the lens. Most lens aberrations are caused by its outer edges and these will tend to affect the 35mm camera more than the APS camera making the quality of the lens seem higher than it actually is. Larger focal lengths result in lower DOF – telephotos have shallower DOF than wide angle lenses. 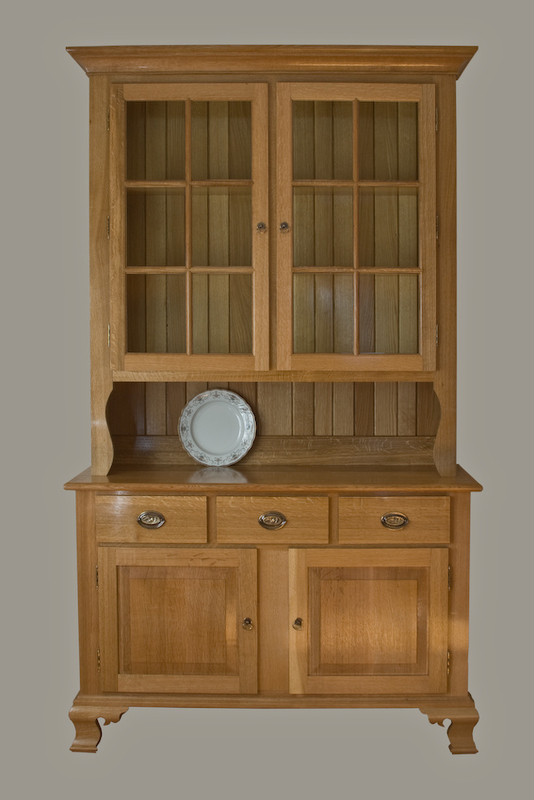 Often, what we want to photograph as woodworkers can be quite large, for example a country hutch. Further, we want the entire piece to be in focus so that grain and crafting detail are sharply displayed. We would like a large DOF to accomplish this. This typically means using an f/stop of f/8 or smaller (f/16, f/22 etc.). I almost always use my Canon EF 24-70mm f/2.8L USM lens, because even with the 1.6 factor, it is a slightly wide angle lens compared to a normal 50mm lens on a 35mm format camera. Hence it helps to get the entire piece in the image and also helps with DOF. In addition, the lens quality is substantially better. This is a good place to break for now. We have covered nearly all the important features and functions of lenses. Next we will discuss the camera body itself, talking more about the sensor, shutter, and RAW images. It will take several posts before we can start to tie all this together, so be patient – it will all make sense soon. See you in Part 3. I have several hobbies and one of them is photography. Though a serious amateur, I do not consider my skills anywhere close to professional level. Nor have I ever written about photography on this blog. But the more woodworking I do the more I find that photography is a part of it; either to display my creations in a portfolio or to describe woodworking techniques and joinery on my website and blog. So I have decided to write a multi part tutorial. 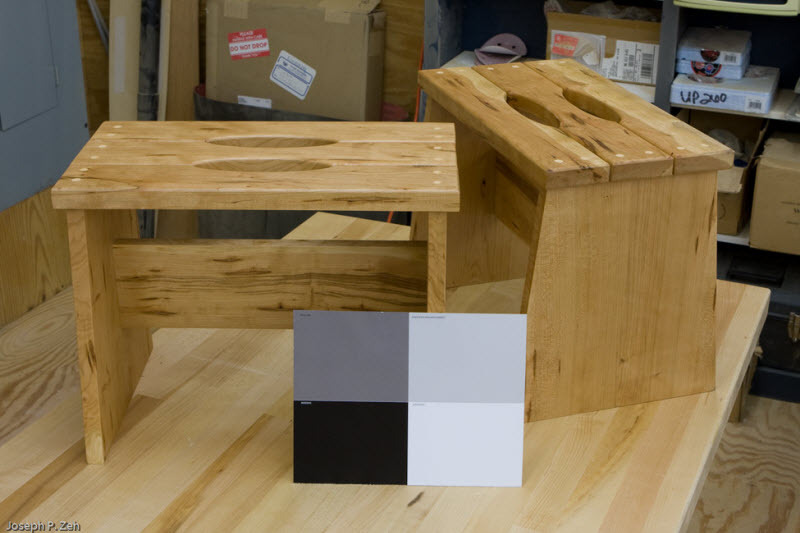 It is targeted for woodworkers who are beginning to show an interest in digital photography with the goal of demonstrating how their photography skills can be integrated into their woodworking. This tutorial will appear in several posts, each post a stand alone section. When the last installment is complete I will combine the posts into one web page and a document that can be downloaded for future reference. Today I will start with suggested equipment and software lists and then discuss each briefly. More detail will follow in subsequent installments. Note that I did not mention a flash attachment or filters. They are not necessary for shooting projects in the shop or outside. You can accomplish almost everything you need to without them. That said, if you have the money by all means add them to your photographic tool bag. Also, I am biased to Adobe products for software and Canon for photographic equipment. However, you can accomplish the same things I will cover here with other brands, though I will use these products exclusively in the tutorial. The five things I strongly recommend in whatever camera you purchase is that it be a DSLR, shoots and stores RAW images, has a 10 second timer, has an aperture priority setting and has at least 5 mp resolution. This set of criteria is not difficult to meet since you would be hard pressed to find a DSLR on the market today that does not meet them. Above 5 mp, resolution is not the most important purchasing criteria. Look for a camera with the least noise and best color reproduction. I will not present a lot of theory here or review cameras. Digital Photography Review is probably the best place for that. Other factors are of course cost, weight, feel, ease of menu manipulation, placement of controls, battery life and choice of attachments – especially lenses. Resolution is probably the most over valued criteria when choosing a camera. Consider what you want to do with it. If you are mostly interested in pictures for a website or blog 5 mp is more than enough; a 1920 x 1200, wide-screen computer display, is about 2.3 mp. If printing your own prints on an ink-jet is your thing, an 8″x10″ photo is 7.2 mp at a high quality resolution of 300 ppi. My cameras are both 10 mp, and I will not select my next camera body based on more mega pixels. However, 10 mp does offer an advantage. It allows a fair amount of cropping while still ending up with 5 -7 mp to work with. So for me this is the sweet spot in resolution. As I said, my cameras are both Canon. I have a Rebel XTi with 28-135mm Ultrasonic Focusing and Stabilization lens and a EOS 40D with 24-70mm Ultrasonic Focusing and Stabilization L series lens. Since most of the picture taking I will discuss is with a tripod, stabilization is switched off. The Tripod is an inexpensive, but a most needed piece of equipment. You don’t need a professional tripod with a ball attachment. Go to your local camera store, for example Ritz Camera, and buy one of their best tripods for under $100. It will serve you just fine. If you don’t already have a card reader get one that is Firewire compatible provided your computer supports Firewire. RAW files can be large and downloading a number of them can take a long time. Most cameras download directly via USB, but their implementations of the USB hardware are often slow. Card readers are inexpensive and a good investment. Memory cards are always a good investment. I like to have a number of high speed 2 GB cards as opposed to one or more very large 8 GB cards. I don’t trust that many pictures to one card, not because I think card reliability is bad, but because I don’t trust my handling of them. A 2 GB card holds approximately 150 RAW Canon images (it will be different for another brand) which is a reasonably long time between card changes. Since we will be shooting only RAW images we need some way to correct color, that is, adjust white balance. If you don’t know what RAW or white balance is, don’t worry, I will go into each in more detail in the next installment, soon to follow. A gray card is a card that is printed with a neutral gray, half way between black and white, which will reflect 18% of a “total light spectrum”, that is daylight (the purist will say this is not technically correct, but it is close enough for our understanding). If we include this card in a test picture – of say a piece of furniture in a fluorescent lit shop – we will know the color it should be after correcting for the bluish cast of fluorescent lighting. A Kodak gray card pack-of-two can be purchased from Amazon.com for under $20. More on gray cards later. As I said I am biased toward Adobe when it comes to photographic or graphics software. Adobe is what most professionals use and it is largely an industry standard. There are many other competing brands out there and I don’t want to get into religious wars. Make your own choice, but Adobe is what I will work with in this tutorial. Photoshop Lightroom, in my opinion, is the most value for the money one can expect in a “darkroom” software package. I use to develop and print my own 35mm film in a chemical filled darkroom. Boy, do I love digital photography. And wow, do I love Photoshop Lightroom. The combination of RAW images and Photoshop Lightroom is about 90 percent of everything a photographer needs to do. Correct color, lighting, sharpness, crop, rotate, manage a photo library – you name it – and you can do most of it with Photoshop Lightroom. What it doesn’t do is the graphics design that Photoshop does – that is, work with layers and canvasses, distort images, artistic filtering, etc. Lightroom is relatively inexpensive as graphics software goes. You can get a full featured version from Amazon.com for $272 as of this writing. 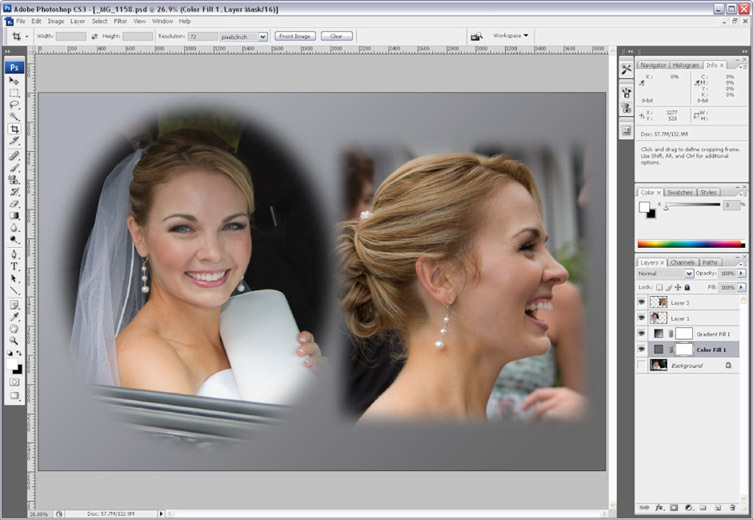 If you can afford both packages, I recommend getting both Adobe Photoshop CS2 or later and Adobe Photoshop Elements. Adobe Photoshop CS4 full version is very pricey and is currently listing for $699. However, you can probably find deals on CS2 or CS3 that cost substantially less and upgrade later if you choose. Alternatively, get Adobe Photoshop Elements 7 currently listing at $100. Adobe Photoshop Elements is an excellent photo manager and in addition has most of the key features of Photoshop CS4. We will use these packages to isolate our creations, place them on non-distracting backgrounds, remove reflections, combine multiple separate images and display them with simulated studio lighting. It is this last feature that allows us to eliminate flash and lighting equipment from the equipment list. I will use my own photos for this tutorial, but in the interest of making this and interactive tutorial, if I get a request from a few readers to attempt something on their photos, I will accommodate them – as long as I don’t get too many that is. This concludes the introductory installment. Each installment will be titled “Woodworkers And Digital Photography – Part 1” and numbered sequentially until the final which will be titled “Woodworkers And Digital Photography – Final Part”. This will make it easy to find all installments if you don’t follow along regularly. See you later.